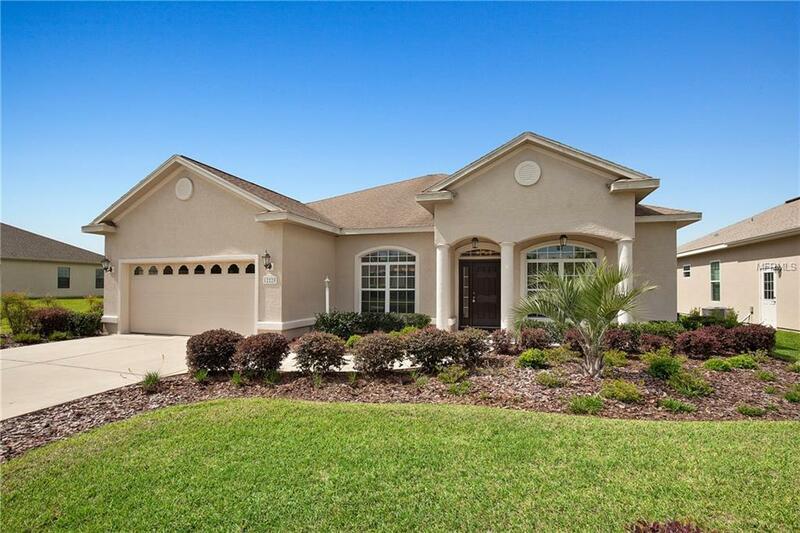 Stunning Executive Pool Home Located On Championship Golf Course in 55+ premier gated community!!! This is your dream home so look no further than this 4 bedroom, 3 bathroom, private den, lanai covered waterfall pool home with an outdoor kitchen and exquisite view, located in the sought after Stonecrest community. This home is in a true gated community with private security, clubhouse, and too many amenities to list. Spacious grand master bedroom suite features coffered ceilings, large private sitting area, and access to the screened lanai. With its large kitchen with granite covered counter tops, walk-in pantry, stainless steel appliances, and open floor plan to the extra large family room and dining room, you have truly stepped into the very best of modern home living. If you are looking for an exceptional home look no further as this is a MUST SEE HOME at a very reasonable price. Call today for a private showing.